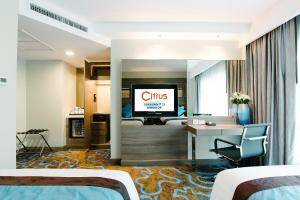 Conveniently located near Bangkok's entertainment, dining and shopping areas, Citrus Sukhumvit 11 by Compass Hospitality offers a fitness centre. 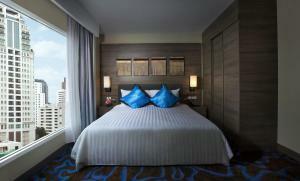 Situated 500 metres from BTS Nana Skytrain Station, the hotel features free WiFi access. 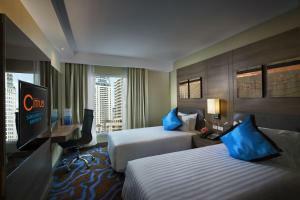 Equipped with air conditioning, modern rooms here provide a 32" LCD TV with international channels, an electric kettle and a minibar. 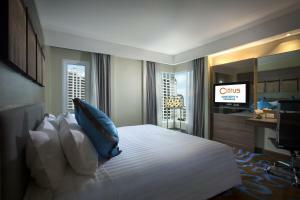 Guests enjoy views of the city and a safety deposit box is included for added security. 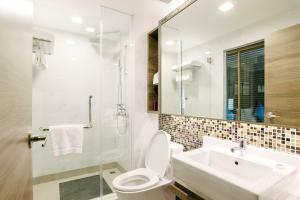 A hairdryer, free toiletries and a shower can be found in the en suite bathroom. 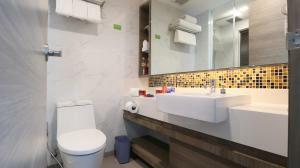 With a 24-hour front desk and concierge services, other facilities at the hotel include laundry services, a tour desk and a free daily housekeeping. Drivers enjoy free parking and an airport shuttle is available for a surcharge. Guests can dine at the property's on-site restaurant, Munch, which is open daily between 06:00 and 22:30 hrs. Alternatively, a range of restaurants that serve a variety of cuisines can be found within a 10-minute walk. 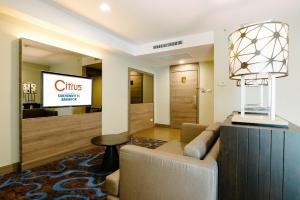 Citrus Sukhumvit 11 by Compass Hospitality is 200 metres from Bumrungrad International Hospital and 1 km from Terminal 21 Shopping Mall. 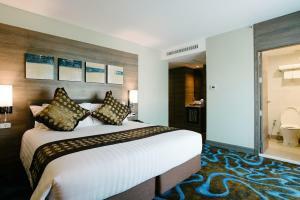 Suvarnabhumi International Airport is approximately a 45-minute drive away. Please be informed that a buffet breakfast is served at the on-site Munch restaurant from 06:00 - 10:30 hrs. and stays open to serve a la carte dishes from 10:30 - 22:30 hrs. Guests are required to present a photo identification and the same credit card used to guarantee the booking when checking in at the hotel. The name of the credit card holder must be the same as the guest's name. If the guest fails to provide the credit card, the hotel shall have the right to request for an alternative payment method. 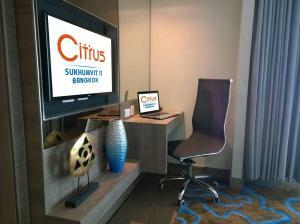 Please inform Citrus Sukhumvit 11 by Compass Hospitality in advance of your expected arrival time. You can use the Special Requests box when booking, or contact the property directly with the contact details provided in your confirmation. 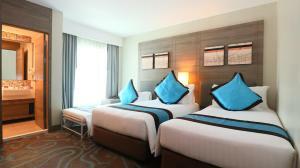 This twin/double room has air conditioning, a minibar and a safety deposit box. 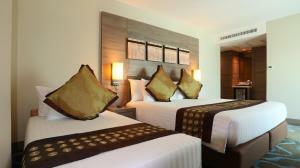 Rate: THB 1869.15 ... THB 6798.00; select dates below to get current rates. 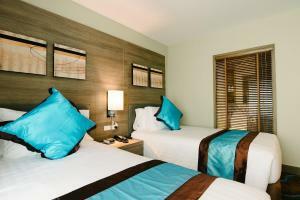 This twin/double room has a minibar, an electric kettle and air conditioning. 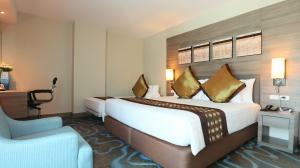 This larger twin/double room has air conditioning, a minibar and a 32" LCD TV with satellite channels. 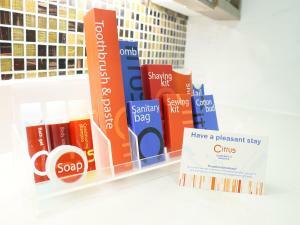 Guests enjoy one complimentary minibar set per stay. 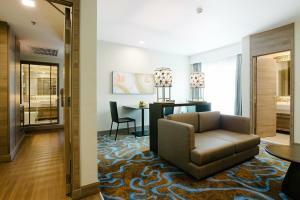 This largest suite features a sofa, ironing facilities and tea/coffee making facilities. 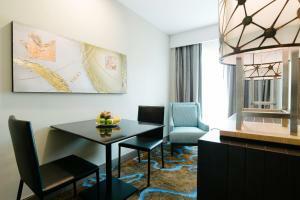 Guests enjoy one complimentary minibar set per stay. 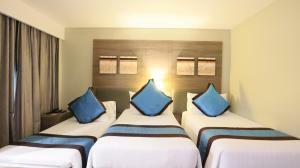 This twin/double room features a electric kettle, air conditioning and bathrobe. Please note that coffee/tea making facilities and the iron with an ironing board are available upon request. Please be informed that the bed for a 3rd guests comes in the form of a rollaway bed.